This copyright-free image of a bird with birds nest, lush leaves, and green eggs can be used for free. You are free to use this image in your personal, commercial, and educational projects. 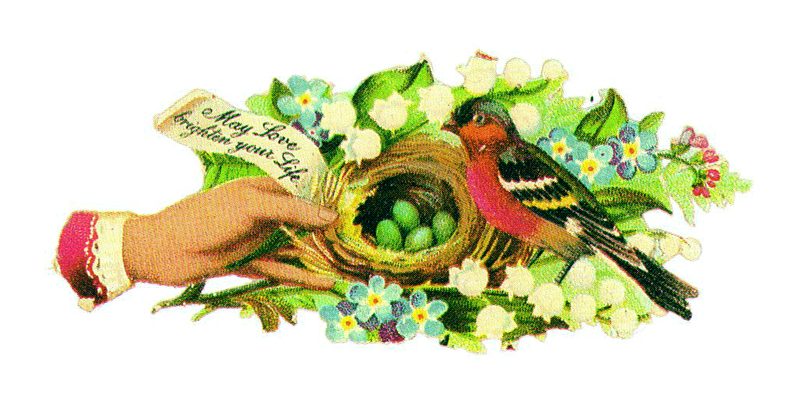 This image was scanned and uploaded from my own personal collection of antique images and die cuts. Please link back to this site, FreeVintageIllustrations.com, if you post or share this image on your blog, website, store, social media, or any other web page online.